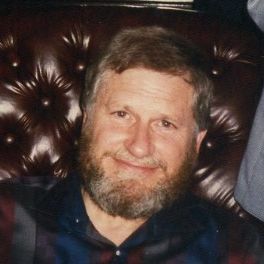 John A. Kelingos received both his undergraduate and graduate education at the University of Michigan, where he received his Ph.D. in 1963. He wrote his doctoral thesis under the direction of the renowned complex analyst Fred Gehring. His first academic position was at Duke University from 1963 to 1965. Following that, he was at the University of Minnesota from 1965 to 1969. He joined the Vanderbilt Department of Mathematics as an associate professor in 1969. Kelingos arrived at a time of great change. The department doubled its size between 1966 and 1975 and transitioned from a department that focused primarily on teaching to one that valued both teaching and research. He was hired along with Richard Arenstorf, Charles Kahane, and Glenn Webb to form a group in real and complex analysis, an area that was underrepresented in the department. During his early career, Kelingos’ research was focused on quasiconformal mappings, the topic of his dissertation. However, these interests evolved into Buerling distributions and analysis of certain types of abstract partial differential equations. Even during his last year, he kept working on these problems, mainly with Peter Massopust, with whom he started a fruitful collaboration when Massopust visited Vanderbilt during the late 1980s. Kelingos advised three Ph.D. students at Vanderbilt. Kelingos was a very popular colleague in the department. He was very candid, yet friendly, and everyone in the department liked him. His popularity was evident by the number of colleagues who would congregate in his office to discuss mathematics as well as other weighty topics (sports, Kelingos’ social life, the stock market, and backgammon). He was the founder of the department’s annual NCAA basketball pool, an event that stirred great interest among the faculty and graduate students. Kelingos was also an excellent teacher. He knew how to untangle very esoteric arguments and bring them to the level of his audience. He could be very funny in class. In 2004, the Nashville Symphony created the John Kelingos Memorial Fund in his memory. The fund provides an annual award to a member of the symphony to be used for educational purposes. John died of cancer on October 28, 1996, at the age of 60.